Sierra West Sales is an Authorized dealer of Aga cooking appliances in Santa Fe New Mexico. Aga offers a wide selection of home appliances from dishwashers, range hoods, and refrigeration of all types provided by sister company Marvel Refrigeration including full size French door, under counter wine storage, beverage centers, and drawers. But Aga is best known for the cooking appliances and for good reason – the quality and style are unmistakable. 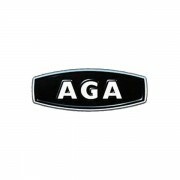 Aga offers 2 major types of ranges – the traditional ranges and the cookers. The Aga traditional ranges are offered in the Legacy, Pro+ (called Pro Plus). This unit is traditional in that it offer ovens and burners that function in a “normal” fashion using direct heat to cook – but are anything but boring when it comes to the style and multiple color options. Beneath the design values of every AGA range cooker lies a heart of cast-iron. Ready to cook whenever you are, with no switches and dials to master, every classic AGA cooker is engineered to take care of itself, for generations to come. These units use a proven design that has been in use for over 80 years in which the units are constantly on, never turning off. At the heart of the Aga Cooker is cast iron – a metal that is renowned for holding precise temperatures. The Cooker is always ready to cook – no need wasting time for the oven to preheat – and the effective insulation minimizes fuel consumption. This type of cooking is referred to as radiant cooking and is a much gentler cooking process than the fierce direct heat of today’s cooking appliances. It is this consistent radiant heat that provides the excellent cooking results locking in juices, flavor, and nutrients. Most people associate the name Aga with good food and fine living. And although it’s often thought of as quintessentially British, the Aga actually began life in Sweden. The celebrated cooker found in 750,000 households worldwide was invented by Dr. Gustav Dalen, a blind Nobel Prize-winning physicist. Appalled that his wife and their maid had to constantly tend to their old-fashioned range, Dalen set out to design a modern cooker that would look after itself. It’s unlikely Dalen could have predicted that his invention would go on to be widely acclaimed as a design icon, but it has. In the year 2000, the BBC published a retrospective of the 20th Century highlighting what it considered to be the top three design icons: first was the Coca-Cola contour bottle, second was the VW Bug and third was the Aga cooker. 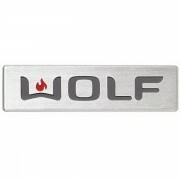 Wolf, self-described as the “cooking specialist,” focuses on all things that involve fire: ranges, range tops, cooktops, wall ovens, microwaves and grills. Wolf is based in the United States and has been in business for more than 70 years. It is also the corporate companion to Sub-Zero, which specializes in refrigerators. Versatility, durability and performance are hallmarks of Wolf, as well as a slew of professional features on Wolf ranges like French tops, infrared griddles, char broilers and dual-stacked, sealed burners. Another innovative Wolf feature is its dual convection technology, which spreads even temperature and airflow with two fans and four heating elements to create more consistent and faster results. Wolf’s trademark red knobs are one of the most recognizable in the industry, as well as its stylish rotating control panel for wall ovens. 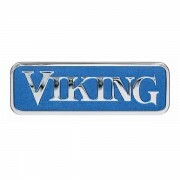 The Viking brand is synonymous with the epicurean lifestyle, and since 1987 has brought professional cooking to the home. Now that same exceptional performance extends into every corner of the kitchen – even the backyard. Viking has continued its aggressive new product development initiatives and has expanded its product offerings to encompass the entire kitchen, both indoors and outdoors. In addition to freestanding ranges and ventilation hoods, the product line includes built-in ranges and cooktops, wall ovens, warming drawers, dishwashers, trash compactors, food waste disposers, refrigerators, freezers, wine cellars and an entire line of outdoor products including grills, ovens, refrigeration and stainless steel cabinetry. Viking considers itself not only a major appliance manufacturer, but a culinary company involved in all aspects of the kitchen and the world of food and wine – it’s enough to turn any cook into a chef. Overview: This Jenn-Air® luxury gas downdraft cooktop features five sealed burners, including a 17,000 BTU ultra-high output burner. Its impressive JX3™ downdraft ventilation system quickly and efficiently clears the air without a hood. Overview: This Jenn-Air® luxury double wall oven features the Jenn-Air® Culinary Center, which calibrates the perfect cooking time and exact temperature based on your inputs and preferences. The 7-inch full-color touch-anywhere LCD display makes it easy to select cooking functions like the convenient No Preheat mode. Overview: This Jenn-Air® luxury electric radiant downdraft cooktop with electronic touch controls offers a sleek design and responsive performance. Its glass touch controls and five radiant elements create a smooth, integrated cooktop surface, and the impressive JX3™ downdraft ventilation system quickly and efficiently clears the air without a hood. Overview: This Trifecta™ Dishwasher with 49 dBA offers exceptional cleaning performance and versatility, including enhanced drying with the Precision Dry® option. This luxury dishwasher’s virtually silent performance makes it perfect for entertaining.